Xiaomi unveiled the Mi 4i in India in April this year, for Rs. 12,999. Today, after six months from its launch date, the device has received its first price cut. The smartphone was launched in two storage variants, the 16GB variant was priced at Rs. 12,999, which will now be retailing at Rs. 11,999 post price cut. While the 32GB variant’s launch price was Rs. 14,999, but the company has not revealed any information regarding the price cut for it. The new pricing for the 16GB Mi 4i will go live on e-commerce platforms from midnight. Interestingly, the Mi 4i 16GB variant was retailing at Rs. 11,999 during the Diwali sale on Amazon. After receiving a good response for the lesser pricing, Xiaomi just decided to make it permanent. The phone was even priced lower than the aforementioned pricing, on Flipkart Big Billion Day and Snapdeal Electronics Monday, the phone was available for a price of Rs. 9,999. 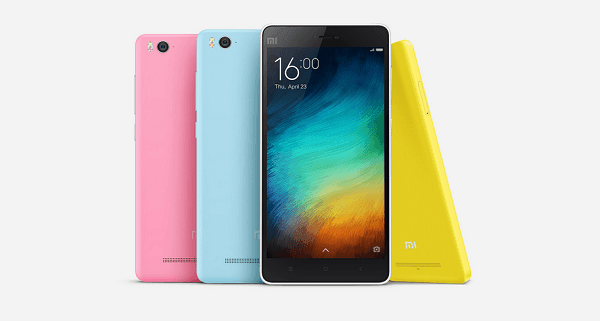 To recap, the Xiaomi Mi 4i was unveiled in India for a price of Rs. 12,999. It comes with a 5-inch HD display with a resolution of 1920×1080 pixels, and is powered by a second generation octa-core Snapdragon 615 processor paired with 2GB RAM. It runs Android 5.0 Lollipop with Xiaomi’s in-house MIUI v6 on top. There is 16GB of internal storage onboard, and the device is backed by a 3,120 mAh battery. The device sports a 13-megapixel primary camera with two-tone LED flash along with a 5-megapixel front camera. In terms of connectivity, the Mi 4i supports dual-SIM, 4G LTE, Wi-Fi, Wi-Fi Direct, Bluetooth 4.0, GPS, and Micro-USB port. Xiomi Mi 4i doesn’t support long coverage 4G band 5(850MHz). So if you are buying for 4G, then don’t go for Xiomi phones. What to do with other configuration when basic 4G bands are not properly supported? Always check if 4G phone supports band3, band 5, band 40. I m a proud owner of Xiaomi MI4i. Those, who are telling that it is a iron box-either they are just heard it (didnt use it)or they dnt know how to update phone…. LOL! !